1 Architecture - B.Arch. and PG in Architecture/ Planning/ Housing/ Urban Design/ Product Design/ Visual Communication/ Building Technology/ Building Engineering and Management. Must have registered with Council of Architecture. 2 Computer Applications - First Class in M.C.A./M.Sc. (C.S. or equivalent). 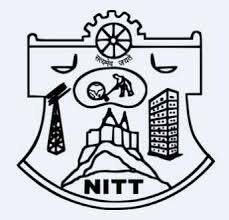 3 Computer Science and Engineering - First Class B.E./B.Tech in Computer Science and Engineering/Information Technology and First Class M.E./M.Tech. or equivalent Degree in Computer Science and Engineering/Information Technology. Humanities and Social Sciences - Economics - First Class in Master Degree in English. 7 Metallurgical & Materials Science Engineering - Anyone degree in Metallurgy. 8 Physics - First Class both at UG & PG level 60% from the recognized university and Ph.D. in Physics. First Class both at UG & PG level 60% from the recognized university with M.Phil. (Physics).